Christianity made a huge comeback in Europe in the early 19th Century, as measured by religious fervor. The Christian Faith aroused greater passions among greater numbers of people than in the previous century. Missionary efforts targeted not only pagans in distant lands but also the great unwashed in the industrial cities of Europe. As the 19th Century progressed, we witness the development of many new Christian cults and sects. A profound interest in exotic religions also grew in the West, such as Buddhism and Hinduism. Religious toleration was widely accepted in Western Civilization by this time. Discriminatory laws against either Catholics or Protestants in various countries had pretty much faded away. But the two million Christians in Armenia were not so fortunate. 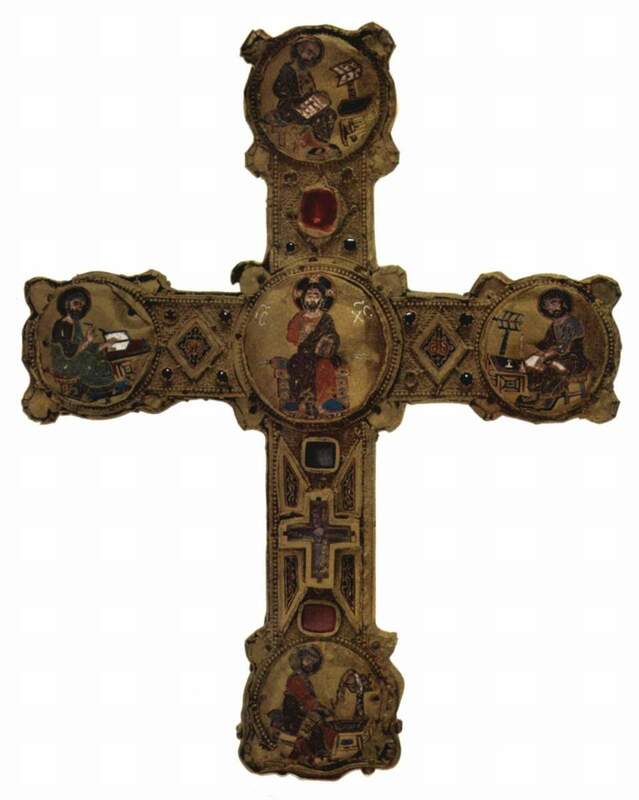 The Armenian Christians were terribly persecuted by their Turkish Muslim rulers. 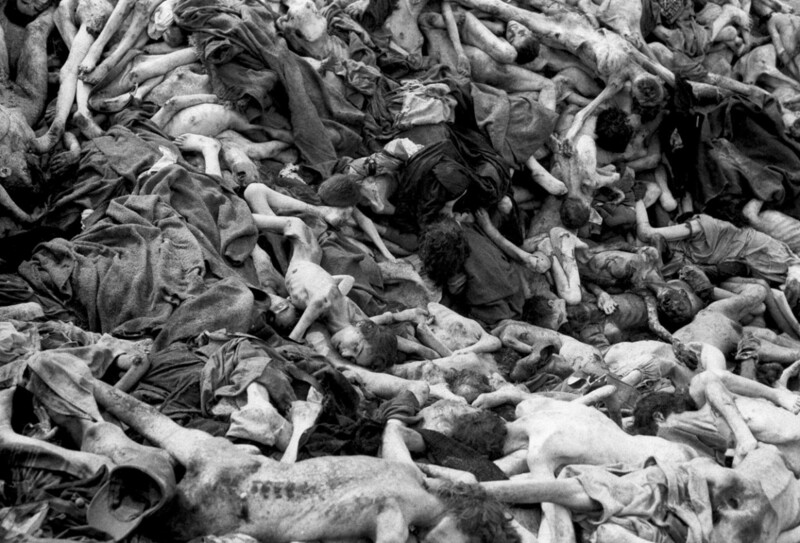 300,000 of them were murdered for refusing to renounce their Christian Faith. 600,000 more were forced to convert to Islam to save their lives. And close to a million Armenians had to flee their homeland to escape death. Goethe published Faust in 1806, which powerfully describes Satanic rituals that give vent to the dark forces in us and in nature. The champions of the Christian Faith were embattled by the forces of unbelief in the 19th Century. Forced to defend their religion, the Christian message was tightened up, and a resurgence of conversion took hold. The Ecumenical Patriarchs of Constantinople lost much of their prestige and influence in the 19th Century, as the Ottoman Empire lost control of the Balkans. The Orthodox Churches of Greece, Serbia, Bulgaria, Romania, and Montenegro struck out on their own. The Russian Orthodox Church increased in authority. The Orthodox theologian Vladimir Soloviev believed that the "great Protestant mistake" was to substitute the teachings of Christ for the person of Christ. All denominations, prior to the 19th Century, equated faith with the knowledge of revealed truth and assent to it. In the modern age, it was in vogue to use radical historical criticism to denigrate the most cherished human institutions, traditions, customs, ideas, beliefs, and persons—especially the belief that knowledge, faith, reason and morality were intimately connected. For believers in the Christian Faith, the central historical event is the resurrection of Jesus Christfrom the dead. If this did not truly happen in human history, the Christian Faith is dead. At the same time, the divine origin of Christianity required acceptance of the Bible as genuine. Christians saw a divine plan unfolding through history, a continuity of the Gospel and the faith through the centuries. Different branches of Christianity have different views of history. Therefore, Eastern Orthodox historians see Constantine as a marvelous hero of the faith. Byzantines focused on the church history during the time of Photius. The 13th Century is seen as the "Golden Age" of the Christian Church by Roman Catholics. 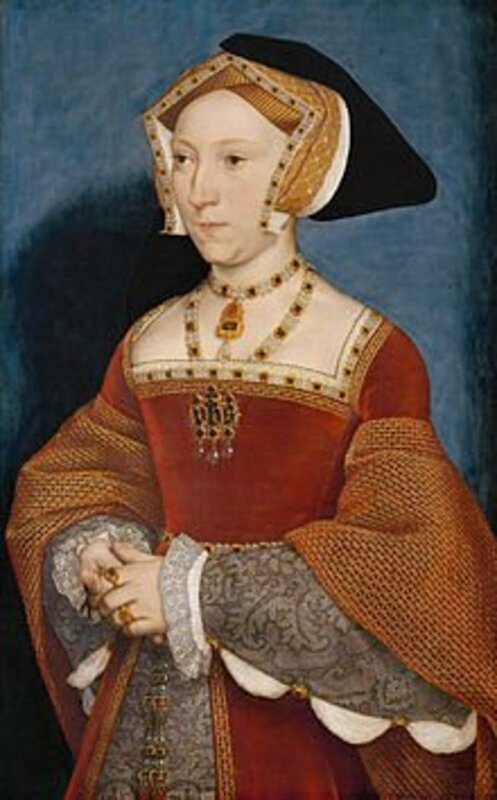 The 16th Century was the best in Protestant history. But all agree that the first century is uniquely deserving of reverence. 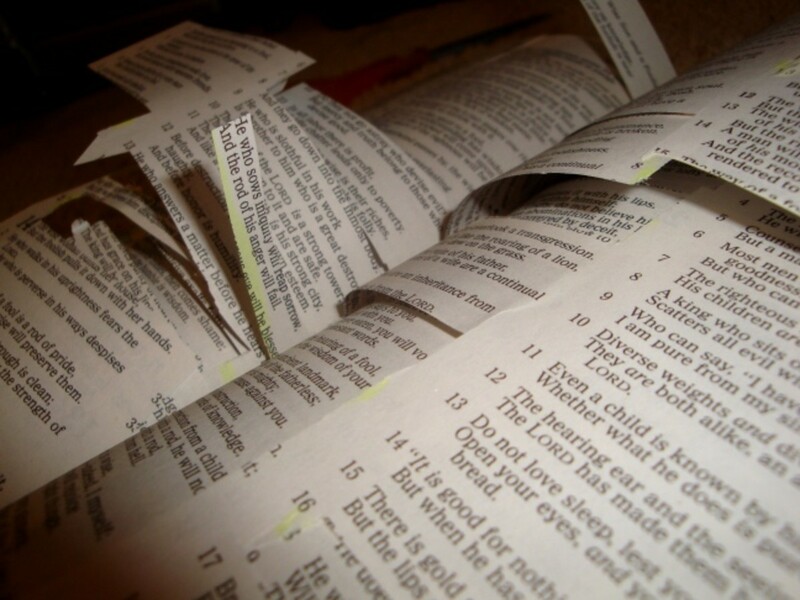 Is the Bible the inspired Word of God? Is it without error? Is the Bible true and holy? Do the authors of the New Testament merit our confidence in the narrative of facts and in their presentation of the doctrines of Christ? If you believe in the resurrection the answers are yes, yes, yes and yes. 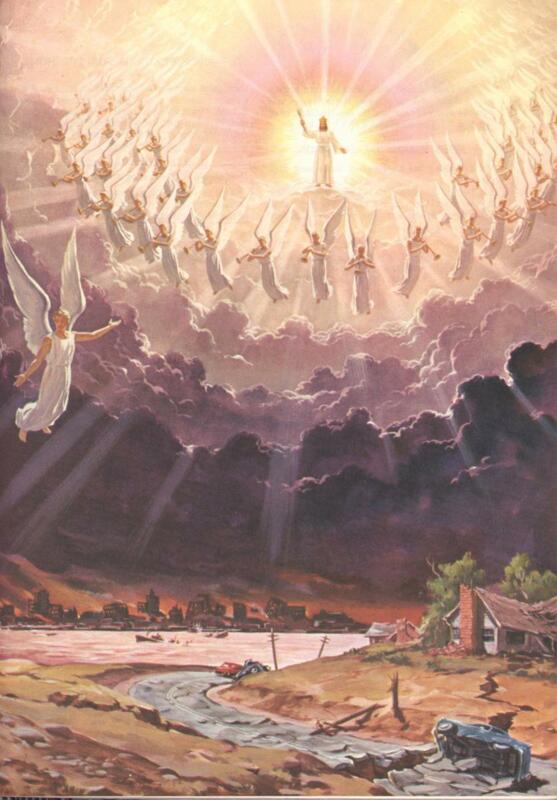 The resurrection of Christ is quite obviously of cosmic significance. The apostles of Jesus and the early Christians believed in the resurrection and their faith is proof of the veracity of that event. God was known first as the Creator. Around the world, most people throughout history have believed in a "First Being, the Father of all things." The knowledge of the world, and the knowledge of God, came from Revelation. Salvation means to participate in the divine. William Paley (1743-1805) stated that God has a set of divine attributes that include "omnipotence, omniscience, omnipresence, eternity, self-existence, necessary existence, spirituality." Samuel Taylor Coleridge said that the "living God was a person, an existing and self-subsisting reality, a real and personal Being." He wrote that through the Incarnation of Christ it was God's "intention to form the human mind anew after the divine image." 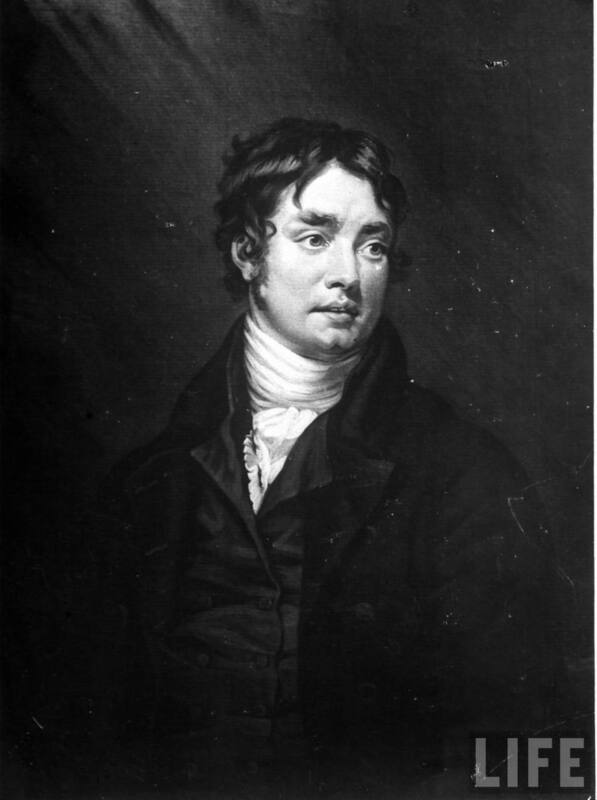 Coleridge believed that morality and monotheism were historically inseparable. The preacher John Jamieson of Scotland (1759-1838) asserted that the monotheistic faith of Israel had a peculiar quality. "Only once in history, do I find a progressive development of morals that was also a progressive revelation of the character of God." The Danish theologian Grundtvig had this to about the reality of God: "God is knowable but at the same time incomprehensible." The Englishman Samuel Taylor Coleridge (1772-1834) posited that historical facts are credible if they pass three criteria: "That the testimony be numerous, that the agent be sufficiently powerful, and that the final cause be sufficiently great." Coleridge believed that biblical miracles passed this test for anyone who "believes in the existence of God and his attributes." God has the attribute of going beyond the laws of nature that God himself has set down. The message of Christ contains much that contradicts the ordinary knowledge of men. Thus, Christ employed miracles to authenticate who He was. Friedrich Schleiermacher (1768-1834) was an influential German theologian who attempted to blend Protestantism, Romanticism, and the Enlightenment. He proclaimed, "True religion is a sense and taste for the infinite." Schleiermacher taught that God is omnipresent and the source of life. God made Jesus the first perfectly attuned person to provide an exemplar for humankind. 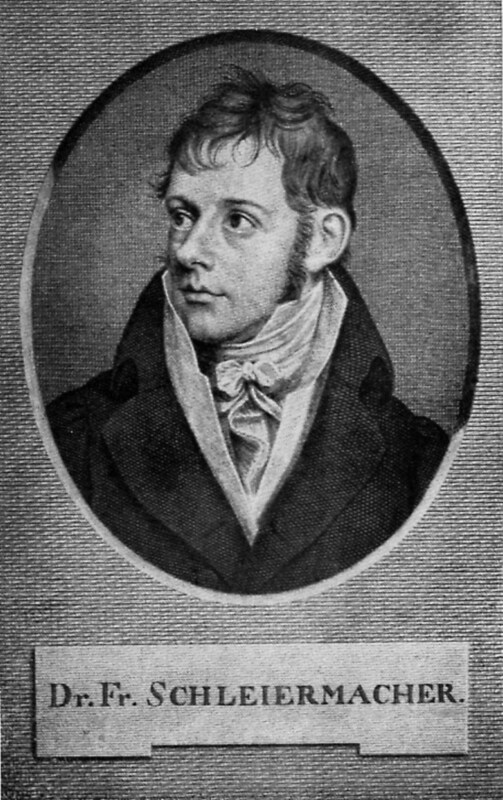 Friedrich Schleiermacher sparked a revival of Protestantism in Germany. He argues against blind submission and superstition. He urges us to feel God first; let your reason give form and direction to your feelings about God; then life is an adventure propelled by faith. Schleiermacher became the most influential and revered theologian since the Reformation. He said that he wrote to "convince the skeptic about the sacred mysteries of humanity." 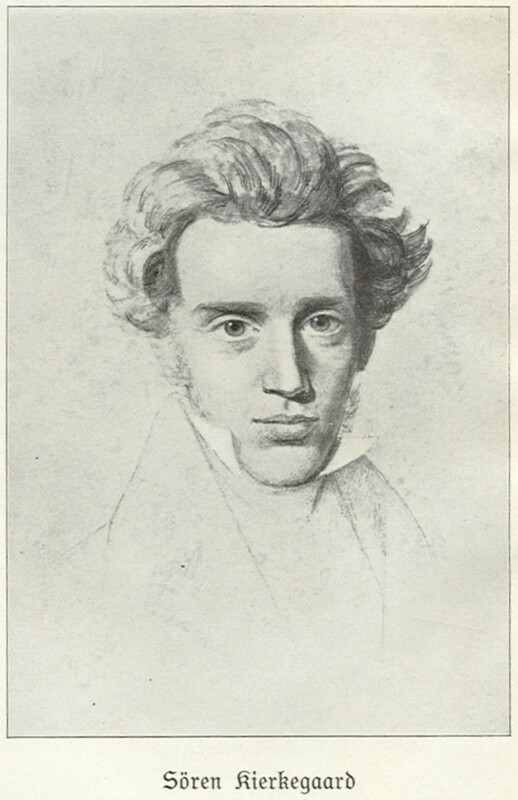 Soren Kierkegaard (1813-1855) was a Christian philosopher from Denmark. He defined religion as "obedience to God." Kierkegaard wrote: "Science and scholarship want to teach that becoming objective is the way. Christianity teaches that the way is to become subjective, to become a subject. The scientist can learn about the world by observation but can the scientist learn about the inner workings of the spiritual world by observation? Emphatically no." Subjectivity is truth, according to Kierkegaard. Kierkegaard held that Christ not only revealed God to man, but also man to man. "Here you see what it is to be a human being." In the 19th Century, there was widespread, renewed interest in the "Kingdom of God." As German theologian Albrecht Ritschl (1822-1889) noted, "The proclamation of the Kingdom of God was the dominant idea of Jesus." To Albrecht Ritschl, the Kingdom of God exists "for the sake of preserving the truth on earth." It remains "the universal goal of the community that has been founded through the revelation of God in Christ." Ritschl added, "The Kingdom of God expressed an activity of God directed toward humanity, but as such the kingdom was at the same time a human task, since the rule of God established itself on earth only through human obedience." N. F. S. Grundtvig (1783-1872) emphasized that Christ had given Pilate a clear answer as to what is the Kingdom of God. It is "not of this world" (not a political structure) but a heavenly "kingdom of truth." But German theologian Johannes Weiss (1863-1914) believed that the Kingdom of God only arrives at the end of the present age. Arianism, Subordinationism, Socinianism, and Sabellianism (or Modalism) made comebacks in the 19th Century. 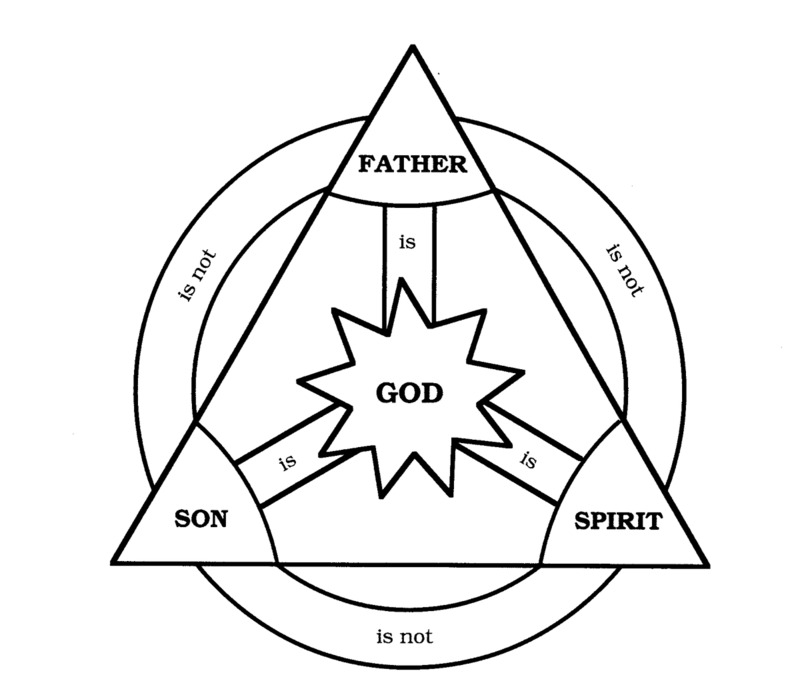 These are ancient heresies that reject the Dogma (or Doctrine) of the Trinity, and, in different ways, claim that Jesus Christ is inferior to God the Father. Socinians add the rejection of the idea that Jesus lived before he was born to the Virgin Mary, and they reject that Jesus was in any way divine. Some of these heretical groups believe the interesting twist that Jesus "became" divine through obedience to God, just as each of us also can. The Trinity was seen by some as a flagrant Hellenization of the Gospel, which they believed was adopted at the Council of Nicea only because 315 of the 318 bishops present were Greek. In this view, the Christian message was corrupted by an "alien layer of metaphysical concepts derived from the natural philosophy of the Greeks." Protestant professor Wilhelm Munscher (1795-1872) noted that Cyril of Jerusalem (313-386) had distinguished between dogma and practices; and that Basil of Caesarea (330-379) distinguished between dogma and proclamation. Munscher concluded that "dogma is synonymous with the teachings of the faith." Church dogmas are "those that are recognized by an entire Christian community as normative." Adolf Harnack weighed in on dogma: "The dogmas of the church are those Christian doctrines of faith, formulated in concepts and set down for a scientific-apologetic treatment that comprehends the knowledge of God and the world and presents the objective content of a religion. They have standing in the Christian churches as truths, which are contained in the Holy Scriptures (or perhaps also in the tradition) that circumscribe the deposit of faith, and acceptance of which is a precondition for obtaining the salvation that is promised by the religion." All Christian dogmas and rituals came under critical scrutiny—attack by skeptics—in the late 19th Century. The various branches of the Christian Faith had to decide how to handle schism, sect, heresy, and error. The New Testament had declared that "there must be heresies." Heresies had greatly contributed to the development of orthodoxy by forcing the church to clarify its teachings. The enforcement of truth and the disavowal of error were expressed primarily through creeds and confessions. Some sort of statement of faith is absolutely necessary. The Nicene Creed was universally defended as an "homage to the Bible, not an offense to it," as it expresses the "faith that overcomes the world." The Nicene Creed is "the full and complete confession of the church, which, with the Ten Commandments, is the essential content of the Christian Faith." Samuel Taylor Coleridge made the observation that it is "the sum of church history that in times of peace the church may dilate more and build as it were into breadth, but in times of trouble it arises more in height, and in depth." Abraham Kuyper (1837-1920) was the son of a Reformed pastor from the Netherlands. 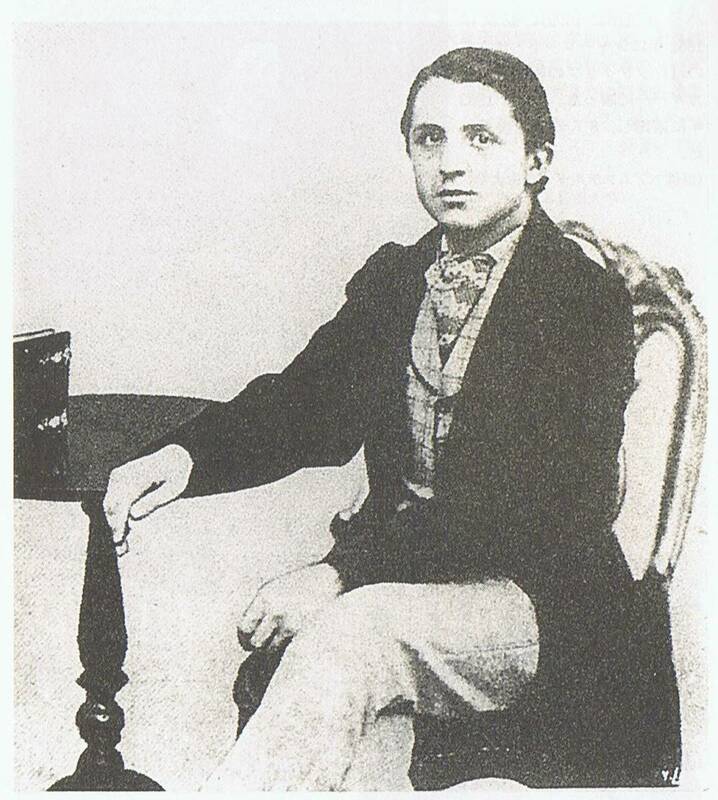 In his youth, Abraham Kuyper was repelled by the Church. When he attended university he was caught up in its atmosphere of Modernism—the exaltation of human reason over divine revelation. Kuyper had a change of heart after reading a romantic novel given to him by his fiancé, which was written by the Christian author Charlotte Yonge and entitled The Heir of Redclyffe. This novel outsold Dickens and Thackeray in the 19th century and became the best-selling work of fiction of its age. Kuyper identified with the proud hero of the story to the point that when the hero knelt and wept before God with a broken and contrite heart, Kuyper did the same. Abraham Kuyper became a pastor, and the Lord called him to a church with a membership of people with a low socioeconomic standing. Though he had been through a prestigious divinity school, he soon learned that the people in the pews knew the Bible far better than he. His first flock would convince him of the truth and beauty of God's sovereign grace. These simple people were both wise and full of faith. He envied them! In 1880, Kuyper founded the Free University of Amsterdam, dedicated to Reformed Theology, which has over 20,000 students enrolled today. Kuyper also taught theology there. In 1886, he founded the Reformed Churches of the Netherlands. He pastored major churches in Utrecht and Amsterdam. He also wrote books, and somehow found the time to edit a daily newspaper for which he wrote 16,800 editorials over the years. Some of his most famous books are the Encyclopedia of Sacred Theology (1898), Calvinism (1899), and The Work of the Holy Spirit (1900). Because of his interest in education, Kuyper formed the Anti-Revolutionary Party of the Netherlands to oppose those who wanted to remove God from the schools. He ended up making orthodox Calvinism a political force in his country. Abraham Kuyper would serve in the legislature for decades, and serve as Prime Minister of the Netherlands from 1901 to 1904. David Strauss (1808-1874) of Germany scandalized Europe with his book The Life of Jesus in 1835. 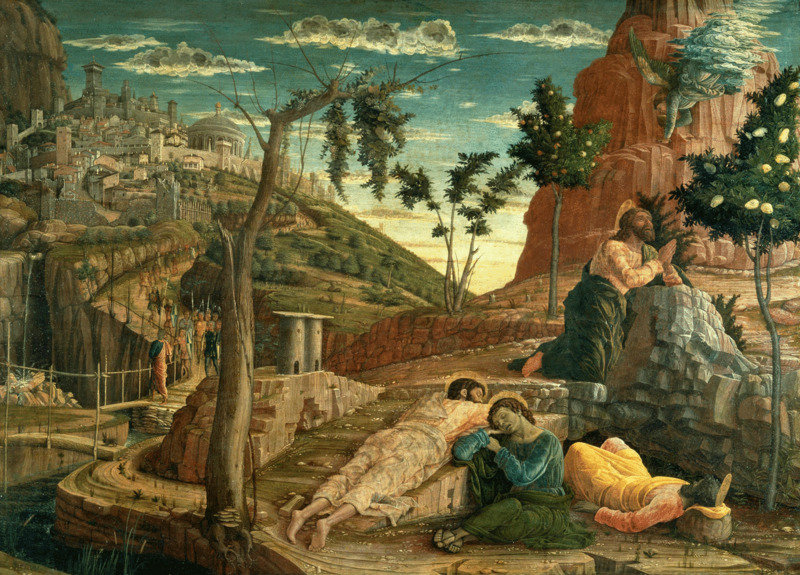 Strauss applied German literary criticism to the New Testament and concluded that the writers made up all the miracles Jesus performed, and that the Virgin Birth was also fabricated. To David Strauss, Jesus was just a great man. An even worse desecrator was the French defrocked priest, Ernest Renan (1823-1892). Renan also wrote a shocking and best-selling Life of Jesus that insisted Jesus was nothing more than an ordinary man. Revelation and faith were bunk, according to Ernest Renan. Science would eventually make all religion (and philosophy) obsolete. Albrecht Ritschl did not agree. He argued that the New Testament revealed the truth about Jesus: "Christ was to be seen as both sacrifice and priest." Ritschl believed that Jesus was the perfect human being, but that the Christian Faith had been corrupted with Greek Philosophy by the ancient Church Fathers. The German historian Adolf Harnack (1851-1930) believed it the duty of Protestants to reject all dogma of the Catholic Church and return to the faith of the Apostolic Church through the study of history. In the view of Harnack, Christianity should be understood not theologically but historically, because the essence of the Christian Faith would be found in its history or it would not be found. This is the application of German higher criticism to matters that had previously been defined as spiritual. History is "the world's memory of itself." But religious faith is self-awareness. Since the Reformation, there had been discussion about the biblical canon, but now the canon came under historical criticism. Adolf Harnack not only believed biblical miracles were illusions; he rejected the Gospel of John altogether. Critics of the New Testament soon made the Gospel of John the battlefield, claiming it was not written by John "the disciple Jesus loved." Pantheism gained a growing number of adherents in the later part of the 19th Century. Pantheism "identifies the Creator with the creation," in such a way as to claim "that there is no supreme, all-wise, all-provident Divine Power that is distinct from this universe of things." Defenders of orthodoxy acknowledged that "the strength of pantheistic systems lies in that craving both of the intellect and of the heart for union with the Absolute Being, which is the most legitimate and the noblest instinct of our nature." But pantheism denies the "personality of God," and does not give a proper account of the divine in Christ, which had to be based on "a restriction in favor of a single personality," not on an identification of the divine with the all. Auguste Comte (1798-1857) laid the foundation on which Marxism and Secular Humanism were built. Comte is the founder of Sociology—a word he coined. His philosophy is known as Positivism. Comte rejected metaphysics and the existence of the supernatural. Science, he believed, would explain everything, given enough time. Social Science would teach us how best to organize societies. 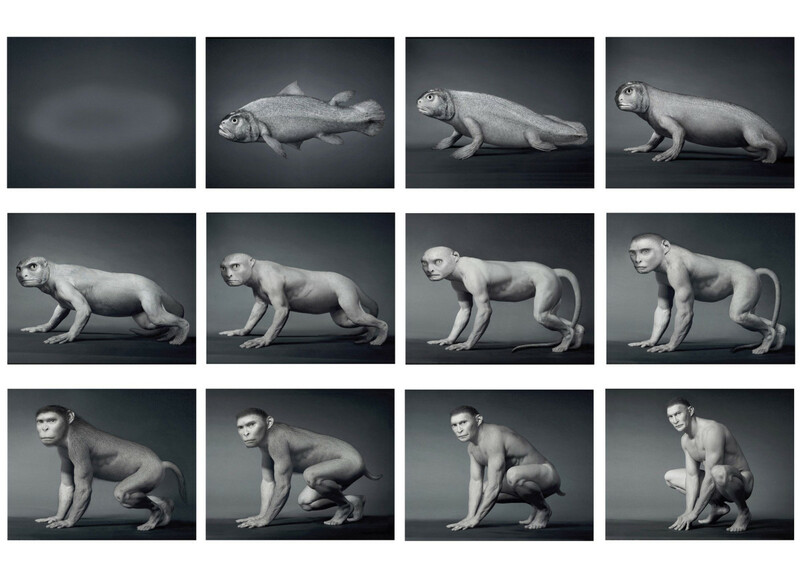 Charles Darwin (1809-1882) wrote The Descent of Man, which postulated that human beings were not the masterpiece of God's Creation but mere animals with opposing thumbs who accidently and randomly evolved from apes. The Genesis Creation Story was not true, according to Darwin's Theory of Evolution. 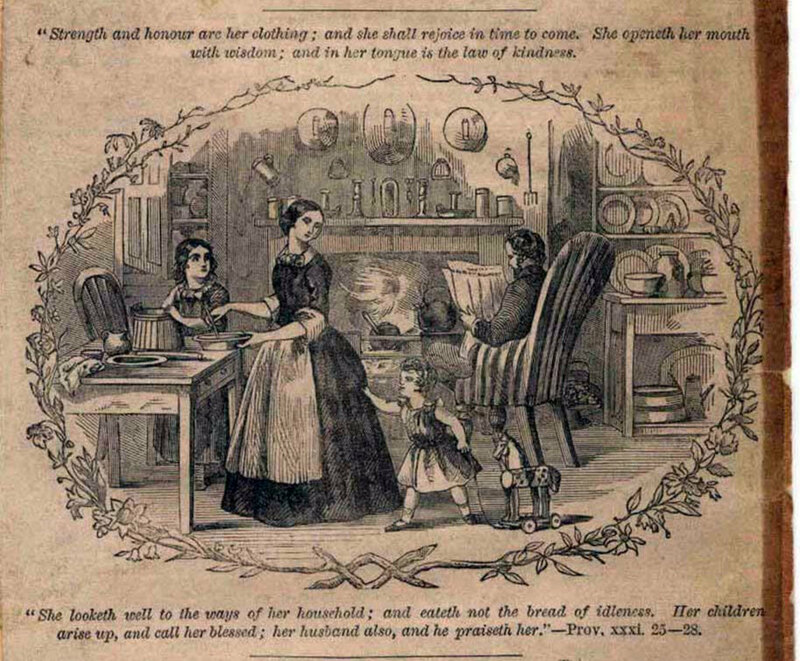 Adam and Eve were reassigned the same position in folklore as Hansel and Gretel. 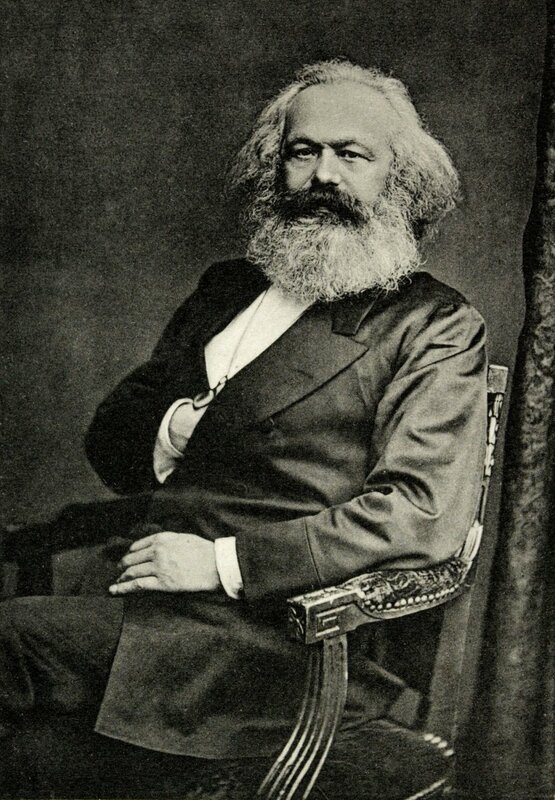 German philosopher Karl Marx (1818-1883) put forth his ideology of Socialism and Atheism. He convinced many people that religion had been invented to hold down the working man. Religion was the "sigh of the oppressed creature" and the "opium of the people." Marx predicted that "Religion is only the illusionary sun around which man revolves, until he begins to revolve around himself." Karl Marx descended from a long line of distinguished Jewish scholars. His father was an attorney. Karl Marx was a poet as a young man. His poems are filled with savagery, hatred, and suicidal thoughts. His heart was devoid of love but filled with bitterness. Karl Marx also wrote about a pact he had made with Satan. Marx smoke and drank heavily; seldom washed or bathed; and stunk to high heaven. 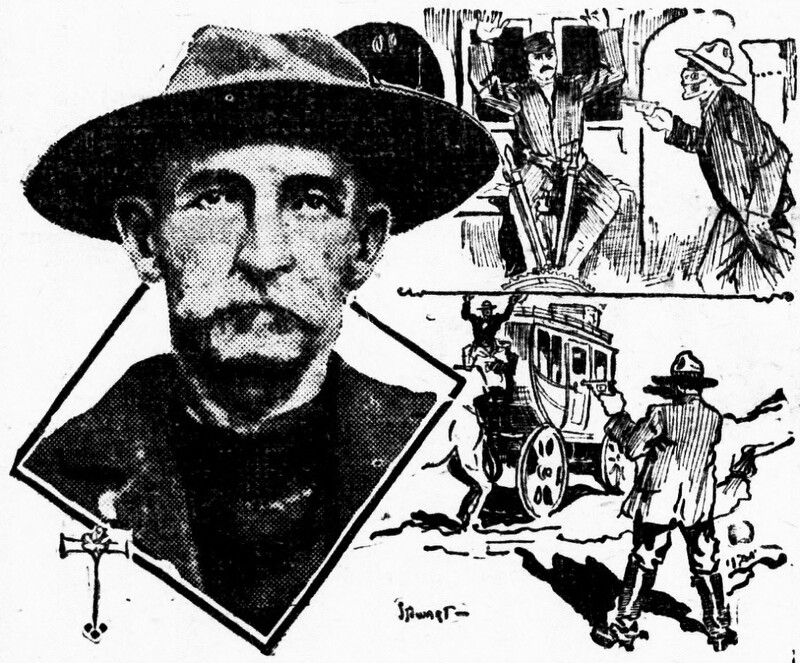 He never tried to get a job, preferring to live off a substantial inheritance that provided an annual income three times the earnings of a skilled workman. Because Marx and his wife loved to shop, he also borrowed heavily from family and friends but never paid anyone back. One of his daughters died in a suicide pact and another overdosed on opium. While Marx is often regarded as a champion of the working class, he personally only knew one working class person: his maid of 45 years, "Lenchen." She was in fact the only evidence Marx ever found of an underpaid worker. All those years, Lenchen never received a penny from Karl Marx, as she worked for room and board. He also gave her a son, Freddy, whom he denied publicly. He talked his protégé Friedrich Engels into claiming the boy as his, so as not to upset Mrs. Marx. Karl Marx only met his son once. Freddy never knew Marx was his father. Isn't it amazing how many people chose to follow a man like this instead of Jesus of Nazareth? 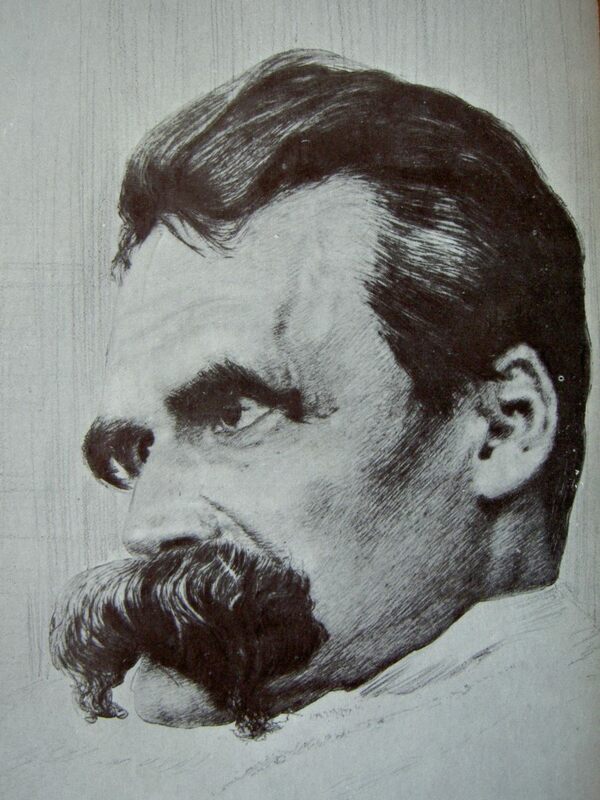 German philosopher Friedrich Nietzsche (1844-1900) followed up on Darwin's Survival of the Fittest doctrine by ridiculing the entire Judeo-Christian ethos. He hated the Christian idea that God loved the weak, the sick, and the suffering while rewarding submission, self-denial, forgiveness, and compassion. Nietzsche thought the "bungled and the botched" of humanity should be exterminated. These Atheistic ideas were complete with the rise of Sigmund Freud (1856-1939) as the 20th Century dawned. Freud explained away the belief in angels and demons influencing human affairs—or even existing—with his theories about the subconscious mind. 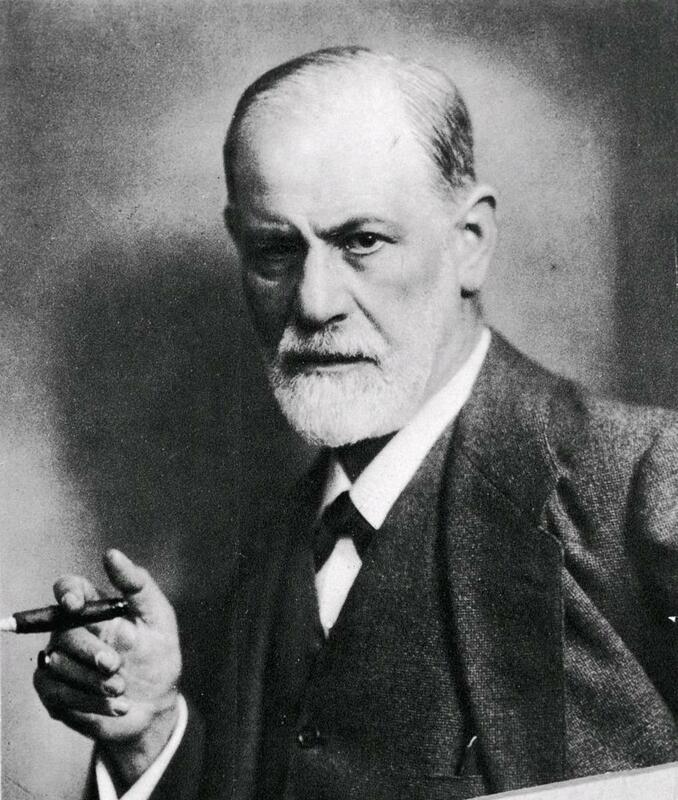 Freud called himself a Jew, because his forefathers had been Jews, but he knew little about and completely rejected Judaism, as well as all religions, which he considered to be mere fantasies. After scientists had decided that the earth could not have been created in six days, and that it was far, far older than Christians believed, some people jumped at the chance to use these theories to deny that God created the world at all. They claimed that God was a myth, and that the world and the human race simply appeared all by themselves, by random accident. Obviously, this means that man is not made in God's image. What did "made in God's image" mean? John of Damascus (645-749) emphasized "intelligence," "free will," and "virtue." He added that these qualities found their fullest expression in the archetype for humanity—Jesus Christ. At a time when Darwinist scientists were claiming that different races of people must have had different ancestral parents, Christianity stuck to the biblical Truth that all humanity had one set of original parents, Adam and Eve. At the same time, Darwinist scientists were pooh-poohing the Creation story while insisting that the universe was eternal, and therefore never had a beginning. Both of these scientific theories were proved to be wrong by the mid-20th Century. Samuel Taylor Coleridge astutely observed that the words "And man became a living soul," made clear that man "did not merely possess it, he became it. It was his proper being, his truest self." DO YOU IMAGINE THERE'S NO HEAVEN? The theme of the 19th Century was Progress. This can be seen in the literature, philosophy, history, and natural science of the time. Christians were also excited about the progress they saw in the "astonishing sight of the triumph of the Christian religion" through huge numbers of new converts at home and around the world. Missionaries proclaiming the Word of God with "indefatigable zeal" had penetrated into distant places, abolishing barbaric customs and correcting native vices. Evolutionary philosophy soon not only threatened the Christian worldview in regard to the origins of the universe and of humanity, but evolutionists had a mission to destroy Christian eschatology and teleology. Darwin rejected all teleology (that the world has a design and purpose) and thereby banished God among his adherents. There arose Christian philosophers who sought to harmonize evolution with faith in God. 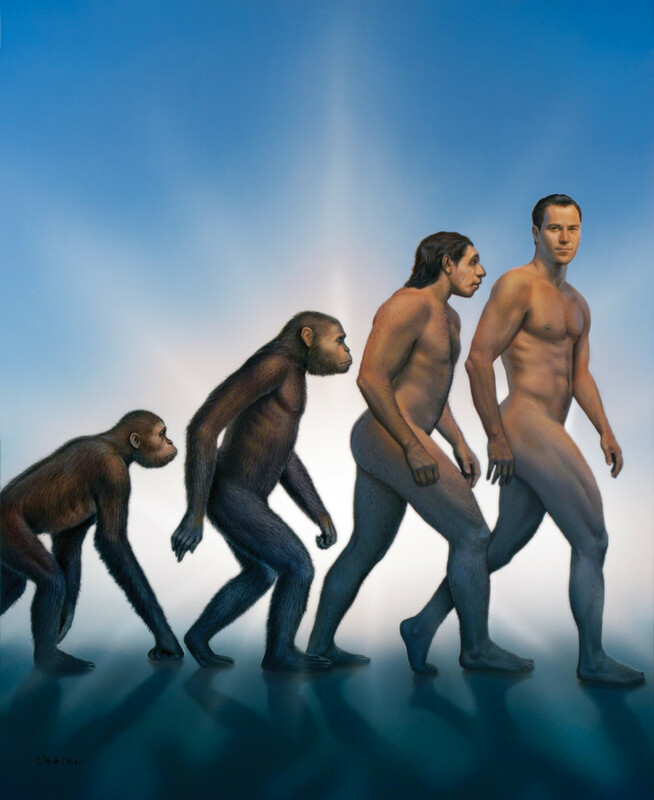 They would assert that evolution was a method of divine working. But Grundtvig affirmed that the Bible was inspired by the Holy Spirit, "the schoolmaster of Christendom by which the biblical writers not only were preserved from error but were moved to write only the things that God willed." 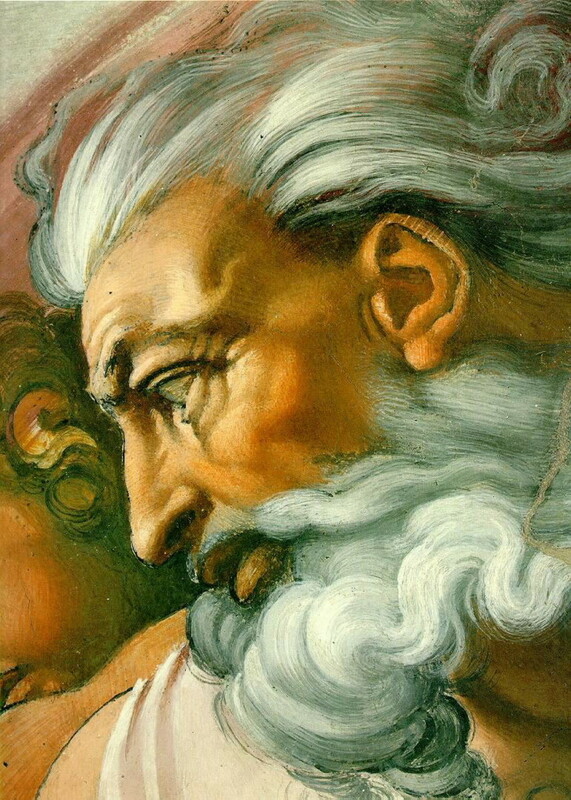 The first three chapters of the Bible (in Genesis) are not "allegory" as some liberals now claim; they are not mythological; they are history. I DON'T LOOK MUCH LIKE MY GREAT GRANDDADDY! 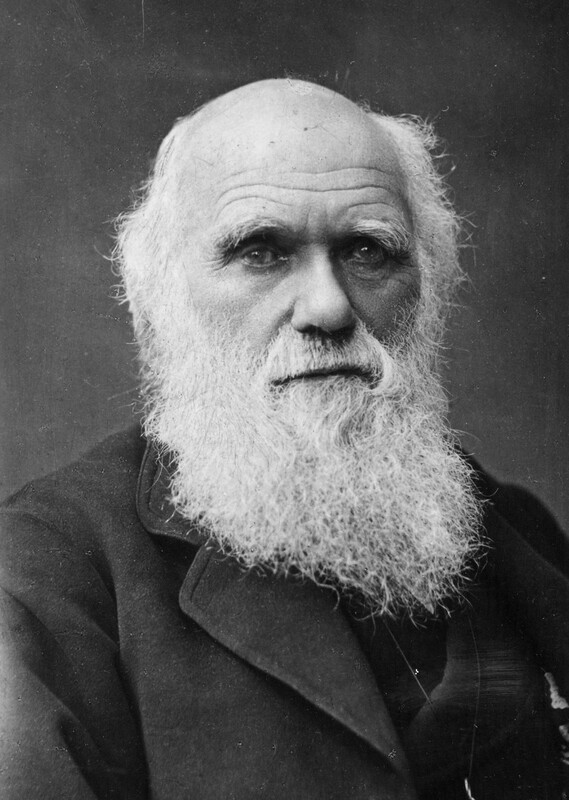 Darwin's concept about life being "the survival of the fittest" led to Social Darwinism, which expanded Darwin's idea to "only the fittest should survive." Weeding out the weak ones would improve the gene pool of humankind, thereby improving the human race, thereby improving societies, countries, and the world. It is from Darwin's theories that the ideas of forced sterilization and promoting abortion became popular. The concept being that since—according to Darwin—we are nothing more than highly evolved animals, and we breed animals to obtain desired characteristics, we should carefully breed people as well. It had been widely observed that highly intelligent people nearly always had highly intelligent children, and doofuses usually breed more doofuses. The book Hereditary Genius: Its Laws and Consequences, by Francis Galton, was published in 1869. It was a study that showed not only intelligence but also talent and moral character runs in families. So the 'eugenics' movement posited that the world would be a better place if less people who are not so smart had children, but intelligent people bred together and often. If you had pick a place where a conflagration would break out that would spill such an enormous amount of blood, and cause such a gargantuan amount of human suffering, and destroy 1,000 years worth of wealth—a horror that would make all wars ever fought in the history of this planet worldwide rolled into one look like small potatoes—Europe in the 1900s, the most civilized society to ever appear in this world, would have been the most unlikely choice. 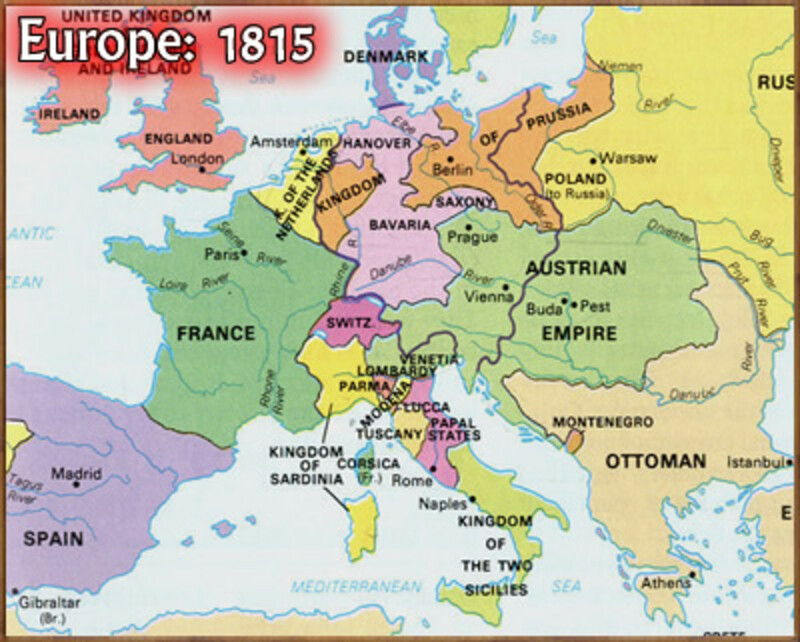 But as the 19th Century came to a close, many Europeans no longer had firm convictions about the Christian Faith. Therefore, many began to see human beings in a new light—not as spiritual images of God but as animals not much different from the ones we routinely slaughter for food. Doubt had crept in for millions of people. There were also many who threw off religion because they simply wanted to be "emancipated from external authority." As one European author observed, "The historical dogma has lost its power; it is a time that is characterized by negation of dogma, tradition, and authority." Another European writer wrote: "The great and essential truths of our religion . . . are no longer accepted [in Europe]." Thus we see in the second half of the 19th Century a slow but steady exodus away from orthodox Christianity in Europe. In the 20th Century, those magnificent cathedrals would become museums. And the new godless society in Europe would turn on itself in two great wars that—along with a horrifically murderous regime in Russia that was officially Atheist and Socialist—would leave hundreds of millions of souls enslaved to the State; and hundreds of millions of people dead. Paul Baker UK ~ Thank you ever much for taking the time to read my article. I appreciate your thoughtful insights. Paul Baker--- I do not believe there are any aliens. But if they do exist, and come here, and are hostile, I do believe that God will help us, on one condition: That we are living in obedience to Him. WHAT WOULD YOU SAY IF HOSTILE ALIENS ARRIVE NOT IMPOSSIBLE GOD WON'T HELP US. The facts are these, my friend: We do not so much need education, or medicine, or therapy as we need repentance and forgiveness. God created everything and nothing was made without Him. Human beings are in rebellion against their Maker. More than by lawbreaking it is by lawmaking. Sin leads to habitual sin and that leads to slavery to sin. This alienates us from God. He is not indifferent to what we do. He will judge each of us. Get ready for that day. Today. PAUL BAKER UK--- The Zeitgeist Movement advocates the abolition of money and private property. The Zeitgeist Movement is based on the belief that the "monetary-market" economy must be replaced with a system in which the Earth's resources are equally shared by its inhabitants in a moneyless and stateless system where debt, credit, exchange, barter, wage labor, private property and the profit motive would be eliminated. PAUL BAKER WINSFORD UK--- I appreciate your comments and I thank you for reading my Hubs. But Lord son, where on earth do you get these wacky ideas? The Egyptian demon-god Horus was one of Satan's lieutenants, a demon named Horus that devil-worshipers worshiped. That has absolutely nothing to do with Christ Jesus. Did you ever hear of Horus giving the kind of marvelous moral teaching that Jesus gave? And that is utter poppycock to claim the Christian Cross has anything to do with some Zodiac. Let me make it real simple for you: Jesus was crucified on a Cross. Therefore the Cross is a symbol of His death. Gee Willikers man! 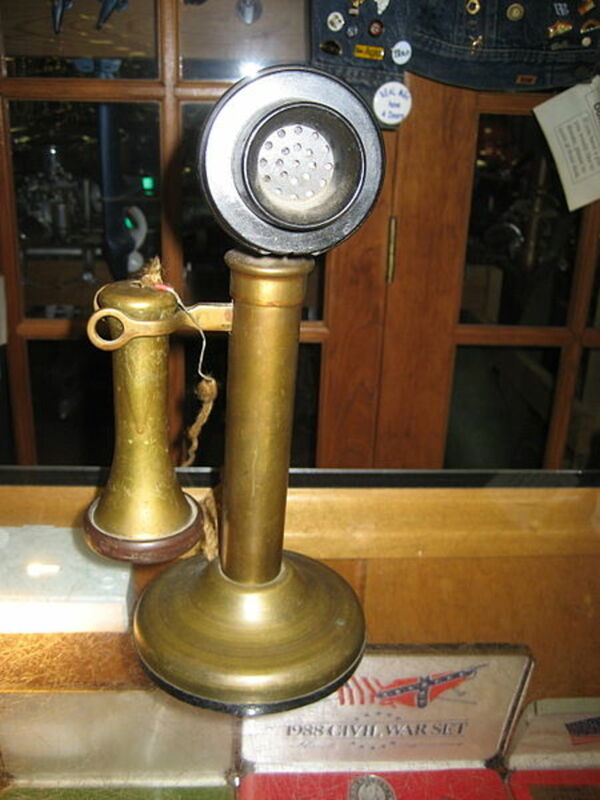 Get ahold of yourself! ALSO THERE IS SET THE DARK GOD. This was a very interesting makes me want to write a hub now as a personal response to this topic! Alexander Mark— Yes, you are right that the word catholic with a small "c" simply meant universal and not the Church of Rome until later when it was capitalized. You are quite welcome, my friend. I hope your journey leads to a place of understanding, discernment, joy and peace. You would think that after more than a decade of being a Christian I would know what the Nicene Creed is, but being a Baptist (mostly) for a large portion of that time may be an answer to that question. Does the use of the word "catholic" in the Nicene Creed mean universal? 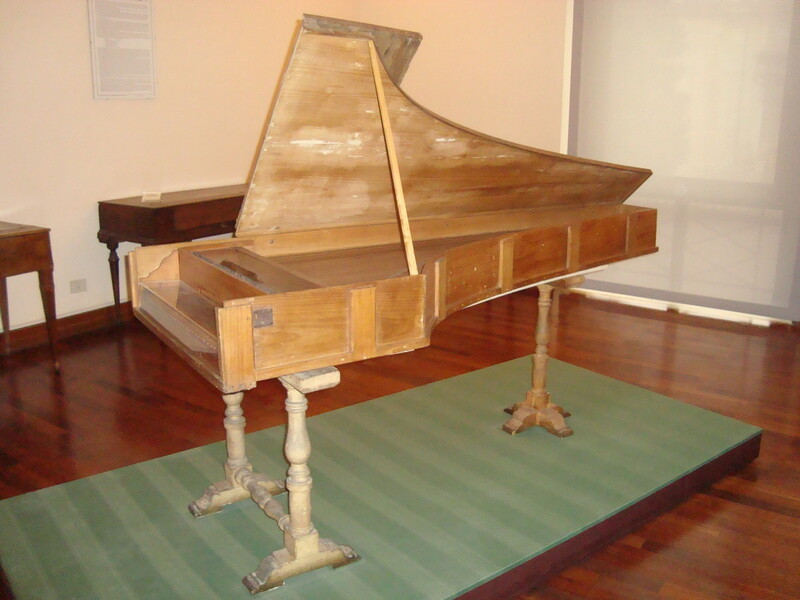 It looks like this was used in the early days of the Roman church, is that right? This has started another eye opening exploration about Christian history as I am searching various sites to get "both sides" of the story (Baptist / Catholic) - so thank you again for leading me to learn more! Derdriu— You are quite welcome, my new friend. Thank you for the voted up + all! I love reading the thoughts of Kierkegaard. And I very much enjoy your outstandingly discerning remarks. You really know how to make a writer feel good about his work. You seem to have an uncanny knack of recognizing just what I was going for. I am well pleased at your lovely laudations. I will be reading your work very soon. I am going to set aside some time for it. James A Watkins, What a wonderfully informative, intelligent, interesting analysis of a most Christian and un-Christian century in Europe! You always show such careful choice of wording that is respectful to the accuracy of events and their sources. In particular, I appreciate the way in which you identify the challenges to Christianity as it had been evolving from a range of influential thinkers, especially the profoundly philosophical Kierkegaard who has had such an impact of culture, literature and society. no body— Welcome to my Hub, Brother Bob. You know I always relish your personal appearances. Thank you for investing the time to read this article. I like the way you put this: "the words of Christ, the works of Christ, the Word of God, the Word that became flesh are so intricately involved with each other"
I surely agree with you, my friend. And you are spot on in your assertion that: "This is exactly what continues in institutions of "higher" learning today. Kids learn to distrust anything spiritual"
You got me with "omnisapience." I've never heard of that word. I appreciate the enlightenment. I like the way your professor thinks. That is interesting. Bob, I had not heard that amazing Neil Armstrong story. That is truly a blessing to me. I am glad you loved this Hub. I loved reading your outstanding comments. God Bless You! Alexander Mark— You are quite welcome, my friend. As far as Dogma goes I would think that maybe the Nicene Creed might serve most all denominations. EXCEPT, of course the liberalized churches, the "old main line" denominations, which now serve a different master. They have conformed to "the culture" in the hopes of remaining "relevant"—only to see half their flocks leave and join up with Evangelicals (who still believe in Christ the Risen Savior). I loved your joke and I repeated it. You are a blessing to me. Thank you for engaging me on this subject. It is always a pleasure to read your discerning thoughts. poetvix— I am honored by your words that this article is "arguably the best of yours I have ever read." As your discerning eye saw so keenly, "so many of the men mentioned are mandatorily included in curriculum across our nation such as Freud, Nietzsche, Darwin, and Marx. I find it so very sad that only the dark side is included. . . . No wonder our nation is in the condition it’s in." Brilliant point! These dark figures are taught in our schools but men of light are banned. So atheists must be studied but men of faith are not. This presents a skewed picture to our children. Wow, this makes me want to say so much! -I believe that the words of Christ, the works of Christ, the Word of God, the Word that became flesh are so intricately involved with each other that an attitude toward one dramatically effects all the others. How does one substitute the teachings of Christ for the person of christ? You can't diminish one without diminishing the others, if you hold up one you hold up the others. -You quoted, "in the modern age it was vogue to use radical historical critcism to denigrate the most cherished human institutions, traditions customs ideas beliefs and persons - especially the belief that knowledge faith reason and morality were intimately connected." This is exactly what continues in institutions of "higher" learning today. Kids learn to distrust anything spiritual, reasoning it away. -I would add to William Paley's list of the attributes of God the attribute of omnisapience. When I first heard of omnisapience in Bible college, it was the professor's favorite and became mine. It is that part of God wherein everything works to His plan and His glory in the end. 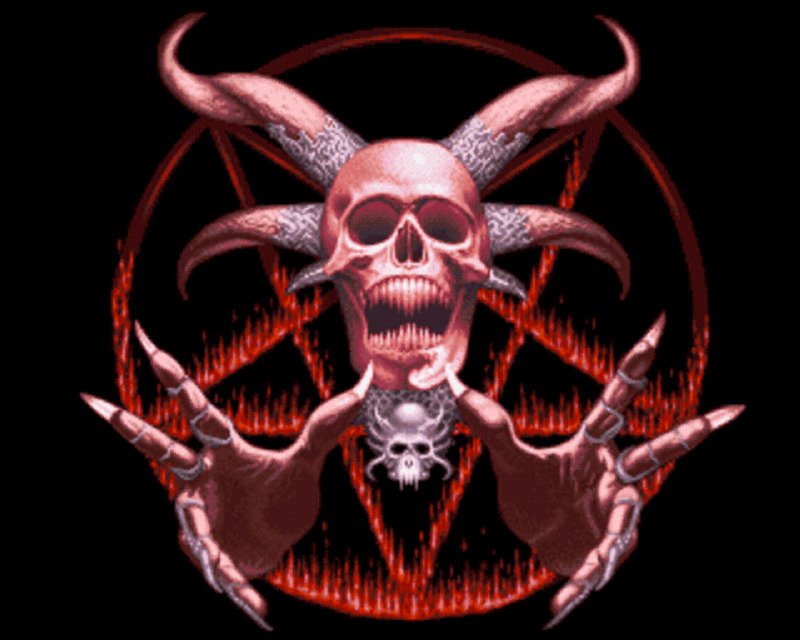 Even Satan's most intricate plan where so much of it comes to fruitition, every part that was his is taken and turned to God. The professor said that probably drives Satan insane and the thought of him being tweaked every time it happens and to know that whatever he does will be undone makes me happy too. -According to my Jewish professor in the small amount of Jewish studies I did, the counsil at Nicea's greatest mistake was to make everything Greek in the old testament and right on through, so as to make a continuity of the whole book. So Adam, Eve, Moses, Abraham are not the Hebrew derivations and no one thinks of Jesus as Yeshua or basically the same name as Joshua. Many such lessons and connections are lost because of this. -I suggest the Marx quote has happened and man has begun to "revolve around himself" continually. -Also regarding Marx, thank you for your statement about following him instead of Jesus. You know I love you for that. -As far as evolution goes: I love the story of Neil Armstrong where he made it clear to the people thinking that there were miles deep of dust on the moon surface because of a half inch accumulation each 6,000 years. (how they came up with that I don't know) They made those big pods on the feet of the lander because they were afraid it would sink. Neil, a Christian made that big leap out on faith knowing that there would only be a half inch according to Biblical creation. When there was only a half inch all the Christians that knew about this cheered. I thoroughly loved this hub, brother. Thanks James for the kind return comment. I reread my comment and found I had forgotten to mention the name of the song the Palestinian / Australian was singing, but you probably gathered that it was, "Imagine," by John Lennon. And you're right, I equated dogma with doctrine - so I checked the dictionary as well. Oops! But even dogma is hard to agree on sometimes as many churches are choosing to ignore certain scriptures in favor of contemporary views and then they argue that their perception is just as valid as those of more fundamental faith. But as individual Christians, we can agree on dogma, you are right. I love the song, "You Go To Your Church and I'll Go To Mine," (but let's walk along together) because we can agree on the fundamentals. 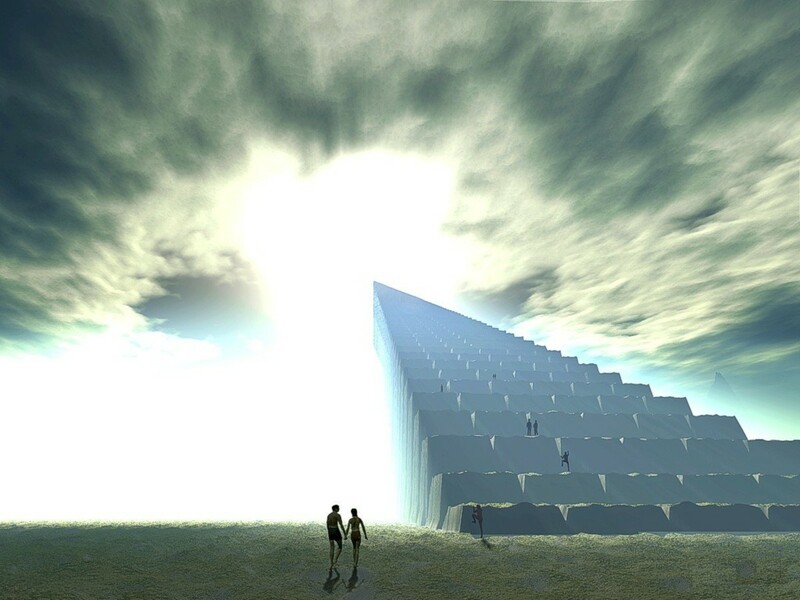 I wonder how surprised we will all be when we get to heaven! Did you hear the one about the non-denominational Christian that died and went to heaven? Peter was showing him around and asking which section most appealed to him to stay in. 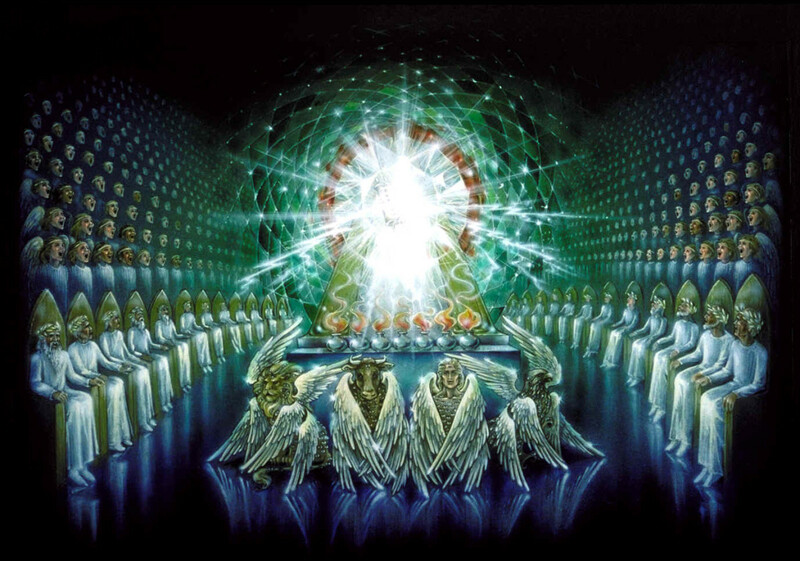 First they passed the Pentacostals and they were singing and praising and shouting and swaying to the music. He said, "that looks like fun, where else can I go?" Then they passed the Lutherans. Their building was neat and organized and everyone was behaving themselves. He said, "that's seems a little boring, but I'm not ready to join the Pentacostals either." This went on until Peter had given him the complete tour. Then the non-denominational Christian spied a very plain, white building off in the distance with closed doors and he asked Peter about it. Peter said, "Ssshhhh!!! Quiet! Those are the Baptists. They don't know anyone else is here!" Thanks for taking the time to read and respond to my comments brother, you are always a blessing. The amount of research you put into this is staggering. This is arguably the best of yours I have ever read, and that is truly saying something. So many things jumped out at me when reading this. One of major import is that so many of the men mentioned are mandatorily included in curriculum across our nation such as Freud, Nietzsche, Darwin, and Marx. I find it so very sad that only the dark side is included. I had to look over the names again to be sure. Sadly, I was right the first time. No wonder our nation is in the condition it’s in. stars439— Thank you, my brother, for stopping in to visit with me and read my Hub. It is always a blessing to see your gracious comments. You are quite a marvelous encourager for me. I am glad you enjoy my articles and pictures. I appreciate your lovely laudations. God Bless You! Thank you for encouraging my writing. Glad to have you with us on HubPages. Wow ! Your hubs are like taking a stroll in an educational candy store with tasty knowledge, and delicious colorful pictures that are absolutely fantastic all the time. God Bless You for all you give, and share with us. God Bless You, and your precious family my friend, and brother. That has to be my favorite part of this entire Hub. I appreciate this visitation from you. I surely appreciate hearing from you again, my dear. Thank you for coming by and leaving such a nice note for me. mljdgulley354— I am glad you enjoyed my Hub. Did you become a preacher? Alexander Mark— Thank you, my brother, for taking the time to read my lengthy article. I very much appreciate your discerning commentary. I surely agree with you: "The spreading of Christian faith has been said to often be catalyzed by pressure (persecution being the most obvious)." I am grateful that you made this insight: "It takes the changing of your mind to put the knowledge and incomprehensibility of God together as a unified thought." As you wisely noted, it is fallacious to think "our understanding dictates the reality of God." I think the statement 'Church dogmas are "those that are recognized by an entire Christian community as normative"' was made to distinguish between doctrines, which vary from denomination to denomination, and dogma, which nearly all denominations agree upon. Doctrine being what separates but dogma what unites virtually all Christians. In other words, an ecumenical movement is possible by agreeing to disagree on doctrine while focusing on what all sides can agree on—that which could then be called dogma. That said, I certainly see where you are coming from with your objection to all dogmatic concepts. As you said, faith is an individual thing. And we are in agreeance that "we are always learning and growing in the things of God" and therefore "coming to an absolute consensus does not seem possible." I wish I had thought of that connection. "the enemy of God promotes self-worship and the seeking of knowledge as a way to lift ourselves higher than God, making him a concept rather than our creator." Your "one contradictory comment does not offend." I am not the least bit offended by anything you wrote. In fact, your comments are extraordinary. I enjoyed reading them and you made my understanding fuller. I am afraid you are right that "we are getting close to another time in history where Christianity becomes an absolute object of ridicule and followers of Christ will be openly persecuted." My hope and prayer is for "our faith will reach a greater height and depth." A great hub but the following two quotes caught my attention. History is "the world's memory of itself." But religious faith is self-awareness. James, As always, your articles are chock full of interesting facts and history. Your fans have summoned up adjectives better than I can without repeating. I really like the quote from Schleiermacher. "He urges us to feel God first; let your reason give form and direction to your feelings about God; then life is an adventure propelled by faith." Wow a lot of good information. I learned a lot of this information when I was studying to be a preacher. Good to be reminded of this history. Hxprof— Thank you for taking the time out of your busy life to read my article. I am honored that you would do so. I sincerely appreciate your gracious compliments. "Forced to defend their religion, the Christian message was tightened up, and a resurgence of conversion took hold." The spreading of Christian faith has been said to often be catalyzed by pressure (persecution being the most obvious). This quote and Romans 5:20 "...But where sin abounded, grace did much more abound:" reinforce that truth. What a hope we have! "The Danish theologian Grundtvig had this to about the reality of God: 'God is knowable but at the same time incomprehensible.'" Many people argue that because we cannot understand God, he can't be completely real. It takes the changing of your mind to put the knowledge and incomprehensibility of God together as a unified thought. Grundtvig was a truly enlightened individual who would be scorned by modern people if he were to show up today. What modern people fail to understand is that they chose to believe that our understanding dictates the reality of God, so their belief is as contrary as they make ours out to be. God chose us to know him, and who are we to question God's motives for not giving us the same mind as God's in our sinful state? What you write later amplifies that idea: "The message of Christ contains much that contradicts the ordinary knowledge of men. Thus, Christ employed miracles to authenticate who He was." I must heartily disagree with the idea that "dogma is synonymous with the teachings of the faith." Church dogmas are "those that are recognized by an entire Christian community as normative." Many good religious sects follow this idea unconsciously, automatically rejecting anything new because they are standing on the "firm" ground of human-made doctrine. Heresy erupts as a consequence of this hard-line tack on faith because it stifles growth. It can also exalt human reasoning above the Word of God and the Holy Spirit working within each of us. Faith has always been an individual choice, and you and I know what happens when a group of people decide on something. Establishing doctrine should always be done carefully and with a willingness to hear new ideas about scripture. Of course it is understood that not every different idea or interpretation is necessarily worthy of our attention, but 1 Corinthians 14:26 says: "How is it then, brethren? when ye come together, every one of you hath a psalm, hath a doctrine, hath a tongue, hath a revelation, hath an interpretation. Let all things be done unto edifying." There is no doubt that the precedent here is that we are always learning and growing in the things of God. None of us are perfect, so coming to an absolute consensus does not seem possible. I have seen God bless people in things I did not agree with but later understood to be His will. I say without modesty that I sometimes understand God's will for me and sometimes even for others, BUT, I could never presume that I have the entire picture. At the same time I understand the need for basic established understanding of doctrine, but not to the point of putting blinders on. I have seen God blessing people who are truly faithful but also in error about some of their doctrines. I was surprised to find out that Karl Marx was Jewish. It is ironic that one of the great nations to evolve with his ideas, also supports the enemies of Israel. I should not have been surprised that Marx was the first stinking liberal hippie. Living off the efforts of others! What a sad waste of the potential of a great mind. In all the heresies, one thing becomes apparent, the enemy of God promotes self-worship and the seeking of knowledge as a way to lift ourselves higher than God, making him a concept rather than our creator. I caught and had to remark on the caption: DO YOU IMAGINE THERE'S NO HEAVEN? I recently watched a video where a former Palestinian, an adoptive Australian with deformed arms and legs brought the audience to tears in one of those talent shows I never watch. I didn't finish the video, but I am always shocked at the ready acceptance of the concept of complete Godlessness bringing about peace. I have even seen this song included in a set of hymns on CD. It took a while, but it was well worth the read again. You give insight and useful knowledge where it counts the most: in practical theology and history. I hope my one contradictory comment does not offend if your faith is based on the principles I argue against. You have certainly stimulated my mind. We are continuing down the road to Godlessness that heretics have laid down for us and we are getting close to another time in history where Christianity becomes an absolute object of ridicule and followers of Christ will be openly persecuted the world over. It is a comfort that through this, our faith will reach a greater height and depth. phdast7— Thank you Theresa for the gracious compliments. You can bet that I will let you know when my book is published, which I hope will be this Spring. I sincerely appreciate you taking the time to ready this lengthy article. reddog1027— It is great to hear from you again! Thank you for your kind compliments, my dear. Good to see you are still with us on Hubpages! Angela Blair— What a distinct pleasure it is to hear from you in response to this article, my dear. I did not realize I had been of any help to you but I surely appreciate you letting me know. Thank you for the awesome accolades, Sis. I know full well what you mean about having an old head. :D I've got one too! I am grateful for this visit and your warm words. And you are most welcome. James, I had to summon the energy (I have little to utilize right now)to read this piece, and it was worth doing so. Would like to comment on many sections, but suffice to say well done. Spirit Whisperer— You are most welcome, my friend. I hope you enjoyed that cheese sandwich. I may have one of those myself here directly. I am going to compile and edit this series of Hubs on the History of the Christian Faith into a book. I appreciate your encouragement of that endeavor. A "masterpiece!" Why, you have made my day with your laudatory remarks. Thank you ever much. kelleyward— You are welcome. I appreciate your recognition of my work. 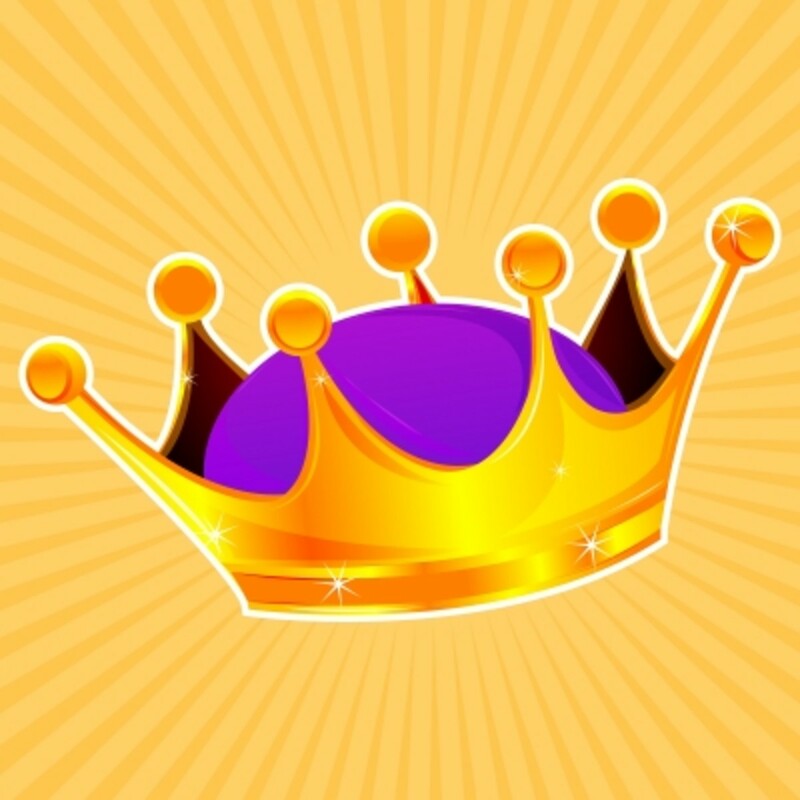 drbj— Thank you very much, my friend, for the gracious compliments and the voted up! John Sarkis— Thank you, John, and you are welcome. I am a big fan of Kierkegaard as well, as you might imagine. I appreciate the visit and comments. Happy New Year! I am glad you found this Hub "fascinating;" and even more glad that you have the Lord by your side. Thank you for your most excellent remarks. As always, I sincerely appreciate this visitation from you. God Bless! Great hub with new and interesting things I was unaware of. It will take a second and maybe a third reading to really absorb it all. James - I never cease to be astounded by your work -- it's of such depth that I'll have to study it several times in order to mentally digest it all and keep it in this old head! You've been such support in my Christian walk (whether you're aware of it or not) and can't help but believe you have other readers that feel the same. One masterpiece after another. There is definitely a book emerging and if it does I am sure historians and teachers everywhere would benefit from the great work you have done to compile this information and present it in such a balanced and interesting way. I am eating a cheese sandwich as I read this hub! A mental and culinary treat I have enjoyed tonight. Thank you James. Kaie Arwen— You are quite welcome, Kaie. Thank you for taking the time to read my article. I sincerely appreciate your kind accolades. I am grateful for your ongoing encouragement of my writings. Paraglider— Thank you for reading my Hub. You made good points in your excellent comments. I agree with you that we should not reject the writings of Karl Marx solely because he stunk to high heaven. I just thought that was an interesting tidbit that I never heard in my Political Science class. Especially in the case of Marx, we surely have plenty of historical evidence by which to judge the results of the promulgation of his ideas. I have no doubt that Napoleon and others like him would have used whatever technology they could get their hands on. In fact, I marvel at the unprecedented restraint of the United States and a few other nations that had nuclear weapons long before anyone else but did not use them—with two notable exceptions. I can hardly think of any other instances in history where a people developed a weapon that gave them an incredible advantage over their neighbors and enemies but did not use it to conquer. It would be like getting the first machine gun and saying, "Nah. We aren't going to use this even though we could subjugate others with it." I rarely hear any credit offered for this remarkable event in the course of human history. You are right about the carnage in the two World Wars resulting from improved military technology—as is usual the case. The level of death, for sure in the First World War, was also because of unbelievably ignorant commanders in the field, who continued to send boys over the top in spite of getting the same results over and over again. Madness! Great Hub! I'm a Christian and new here to HubPages. I'm thankful to learn more from a variety of different people. Thanks again for sharing. You put a lot of work in this hub and it shows! feenix— Hello there! The youth of America have been trained for some time now in our public schools to view government as their savior. The number of people who fall dependent on government benefits grows and grows. The number of people who are self-reliant shrinks and shrinks and those who are are routinely bashed as "the selfish" whose wealth should be confiscated in the name of "fairness." Dependence on government for survival becomes "good" while being of independent means becomes "bad"—exactly the opposite of the American ethos that made our nation great. Thank you for the kind compiments. This is such a thoughtful treatise, James, it will take me more than just one reading to digest. I call it a treatise, not just an article, since it is so sytematic in its organization. Bravo, my friend and voted Up. Polly— You are most welcome, my friend. Jesus is Lord. I am well pleased that you consider this to be my "best Hub yet!" I agree with your excellent remarks. If one is to have heroes and leaders and examples to follow, one could hardly pick a better person to emulate than Jesus of Nazareth. Karl Marx on the other hand . . . well I am sure we are in agreeance on him. DonnaCosmato— I appreciate the voted up and interesting. Thank you for taking the time to read my piece and leave your fine comments. Deborah Brooks— Thank you for being my first visitor! I am grateful to you for the voted up and awesome, as well as your gracious compliments and the bookmark. Jesus is Lord and He is my Savior. God Bless You Debbie! This was fascinating and I should know where communism led everybody everytime I walk through a park which originally was a cemetery and see all the mausoleums still standing there and some large grave markers and then wonder who I'm stepping on where there are no markers. Odd feeling indeed. That pic of the leader of the four men gave me quite a fright cause we have people here who are starting to look quite frightful but still haven't sprouted horns. I believe, I have faith and a day doesn't go by when I don't think the Lord is by my side. This hub is rich of treasures. I'm glad I did not miss it. Francis of Assisi probably smelled worse than Marx and reputedly stole from his own father. We should therefore reject his life's work, just as we should refuse to listen to Mozart, Schubert, Beethoven and Wagner because of their well documented shortcomings as human beings. Or maybe we should learn to differentiate between the contribution and the contributor? The song, not the singer. It surely cannot be wrong for people to think and contribute the fruits of their thinking to the general 'melting pot' of ideas? 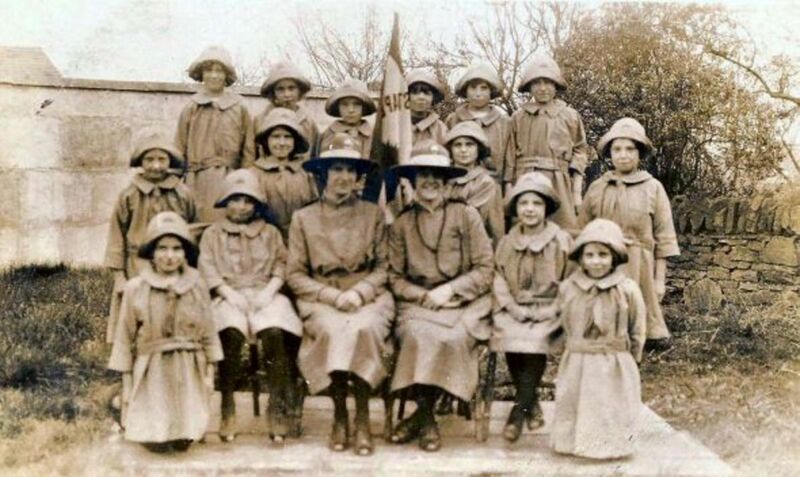 The reason the carnage of WW1&2 was so high had nothing to do with 'godlessness' and everything to do with technology that was not available to earlier generations (including the medical 'technologies' that had so much reduced infant and childhood mortality that there was far more available cannon fodder). If Napoleon had had access to modern tanks, fighter planes and heavy ordnance can you doubt for a second that he would have deployed them? What a powerful piece of writing this is. And for me, the article is very educational for it delivers a wealth of information that I was unaware of. Also, I agree with Pollyannalana. Your question, "Isn't it amazing how many people chose to follow a man (Karl Marx) like this instead of Jesus of Nazareth?" really does say it all. A similar question should be posed to the millions of contemporary Americans who believe that politicians and government are supposed to be the "Saviors." You said, "Isn't it amazing how many people chose to follow a man like this man (Karl Marx) instead of Jesus of Nazareth?" That really says it all. There is good and evil and it is our choice. How could Jesus be such a threat to men? Many here at hubpages who claim to be Christian will say everyone has their own way, that's OK and they will still go to be with their god...and ironically I agree. They certainly will. Your best hub yet James, and some new scriptural insight I will spend some time studying on. Thank you so much. Jesus is Lord. Another masterpiece James. Do you have a degree in theology or history? If you don't you should have. This is an impressive amount of research on the last Christian century in Europe. You have posited some interesting viewpoints and thought-provoking questions. I voted it up and interesting. You really did your homework. this is very good. I am book marking this..I am not real smart but I do know that JESUS CHRIST is LORD.. 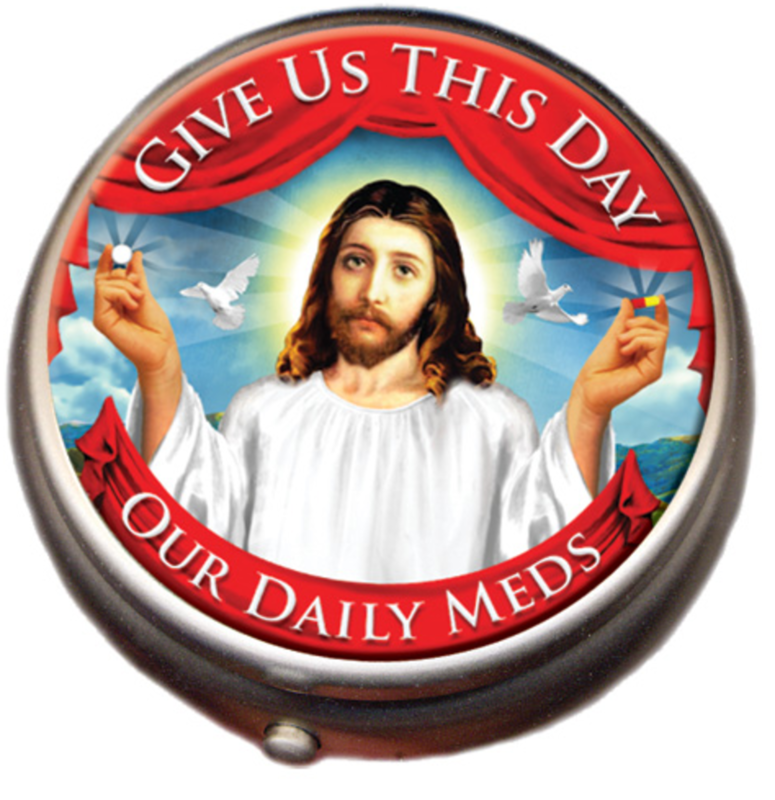 HE is my Savior. Thanks for a great HUB.